In this day and age, most every artist understands the value (and necessity) of having a music presence on iTunes. But it's not as simple as one would think to get your content to appear on the world's most popular application for digital music. Here are some important answers to satisfy the burning questions every artist has about the mystery that is the iTunes Music Store. 1. How do I get my songs on iTunes? To get your music onto iTunes, you can either go directly through Apple, or work through an approved aggregator. Being that the direct-to-Apple route includes a thorough application process that you must meet the requirements for, plus a lot of time, the third-party aggregators (like CD Baby and Tunecore) are a highly recommended way to go for independent artists and bands. These aggregators are experts in delivering content to iTunes and can correctly format and prepare your material to Apple's specifications for a reasonable fee. 2. How do I make money on iTunes? Typically, artists receive $0.70 per track download or $7.00 per full album download. If outside of the US, these numbers fluctuate ever so slightly to accommodate the currency conversions (e.g., from EUR to USD). Artists can also earn royalties from the iTunes Scan & Match service. 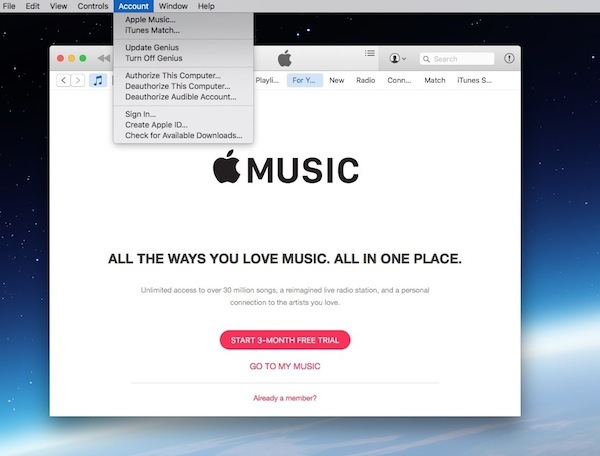 This service works as follows: once a user adds your track to their iCloud, iTunes will pay you a percentage of the monthly iCloud subscription revenue that they receive from the customer based on the total number of iTunes matched tracks. For more details on this, check out the info provided by Apple here. 3. How long does it take for my music to appear on iTunes? Most releases take 24 to 72 hours after receipt from the content provider. (Check with your digital distribution service regarding how long their specific review/distribution process takes before it makes it over to iTunes.) However, a random percentage of releases go through an internal iTunes Store review process, which can take up to 16 business days. It should also be noted that around the holidays, iTunes has some delivery delays, so it's recommended that artists submit their content as early as possible to avoid any unforeseen issues. 4. Is having my music on iTunes the same as having it on Apple Music? No, iTunes and Apple Music are two different services. To offer your music on Apple Music, you must go through either your label/distributor or an approved aggregator – the same process as getting your music in the iTunes store. Once your music is available in the iTunes Store, though, you can opt in to having it on Apple Music as well. Check out a more detailed explanation of the process from CD Baby here. 5. How do I get more information about submitting music to the iTunes Store? For answers to any questions regarding content submission to the iTunes Store, email independentlabel@apple.com.